The brochures talk about it, the pictures display it and the old songs romanticize it. There’s nothing quite like the boardwalk. Places where the breezes blow more gently, the people are much more fun and cotton candy tastes all the more delightful. For a truly genuine experience that transports you back in time to the old romantic days without any compromise on the comforts of modern life, Ocean City, Maryland, is unbeatable. All these reasons in addition to many more, justify the self-proclaimed title of the East Coast’s number one family resort of Ocean City. For long it has also been a highly sought-after destination for Baltimore residents who are just a 140mile trek away “Downey Ocean”. Ocean City got its very first inn when a farmer built one around 1869. What started as a modest business investment has come a long way to become a home to over 200 restaurants and shops, more than 10,000 hotel rooms and condominium units in excess of 25,000, with all of them thriving with business prospects. Around this time of the year Ocean City’s actual population of around 7,000 to more than 200,000 on summer weekends. For an experience in luxury, stay at a condo offered by many of the renowned golf clubs in Ocean City, which makes it the first choice for golfers. Not to be outdone are the high-rise hotels located on the beach itself, which prove ideal for visitors seeking a vacation that combines beach and golf pleasures. Both beach houses and campgrounds are on offer as well. 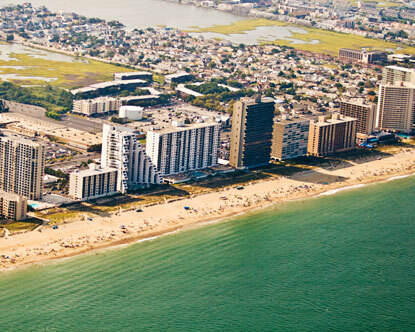 All in all, the Ocean City area abounds in an assortment of lodging options that cater to varying budgets and needs. With ten miles of clean, free, sandy beaches of the vast Atlantic, Ocean City Maryland has a plethora of exciting fun events for tourists of every age. During your visit to Maryland, the Ocean City, make it a point to drop in at the Ocean City, Maryland Chamber of Commerce Visitor & Conference Center at the crossroads of Routes 707 & 50 in W. Ocean City. Huge luxury-filled hotels, endless shopping, vibrant nightlife and entertainment for all make Ocean City, Maryland the ideal destination for an unforgettable and enjoyable stay.